In the last decades, a vast number of post-industrialised economies have experienced a growing participation of women in higher education. However, men and women still differ with regard to their subsequent academic careers and labour market prospects. 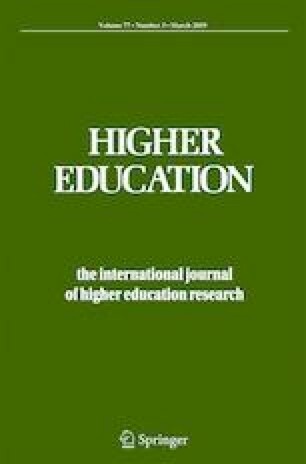 While several studies have disentangled the cumulative process of gender inequalities along the path to higher education, few studies cover two or more subsequent transitions in the academic career following graduation from upper-secondary education. We have investigated gender differences at five educational stages between graduation from upper-secondary education and the first post-doc position. To explain gender differences, we have integrated arguments of individual decision-making and educational, familial and work context conditions. This life course perspective leads us to propose several hypotheses on why the academic careers of men and women would differ in terms of transitions to the next education stage and graduation. We test our hypotheses using a longitudinal dataset which covers a large part of individual educational and academic careers of a cohort of students, beginning at the age of 20 years and extending up to the age of 40 years. Our results show that gender differences are more pronounced at the beginning of the academic career and tend to fade out at later stages. In particular, gender differences occur most strongly at transitions to the next educational stage rather than being caused by different graduation rates. These differences can be explained only to a very minor extent by performance. Separated analysis shows that men and women differ in their reasons to start or stop an academic career, with family circumstances in particular having different consequences. Chang, D.-F. (2017). Effects of higher education expansion on gender parity: A 65-year trajectory in Taiwan. Higher Education. https://doi.org/10.1007/s10734-017-0219-9. Contini, D., Cugnata, F., & Scagni, A. (2017). Social selection in higher education. Higher Education. https://doi.org/10.1007/s10734-017-0170-9. Webber, K. L., & Gonzalez Canché, M. (2018). Is there a gendered path to tenure? Research in Higher Education. https://doi.org/10.1007/s11162-018-9492-4.